A few years back, we saw what BMW called the Vision EfficientDynamics Concept, which blew most people’s minds at the time as it was one of the more futuristic looking concept cars anyone had seen in a very long time. When rumors started spreading that the EfficientDynamics Concept would be put into production, fans started to get very excited for what was to come. And BMW didn’t disappoint, as what proceeded the Concept car was the magnificent BMW i8 and a car that would help shape a genre. That was almost three years ago today, and the BMW i8 is still a marvel of technology, being able to pack incredible performance as well as fantastic efficiency into a gorgeous design. 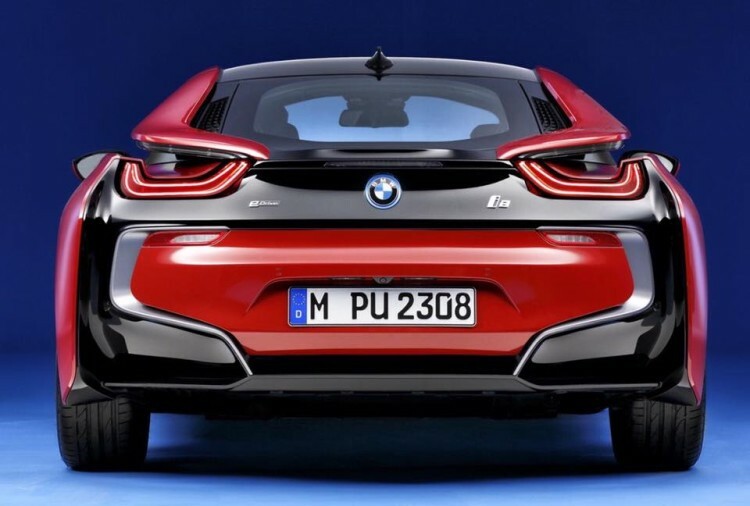 The BMW i8 is one of the most technologically amazing vehicle in automotive history and has brought the idea of a hybrid supercar into a price point that’s actually affordable to many, as opposed to what Porsche, Ferrari and McLaren are doing. 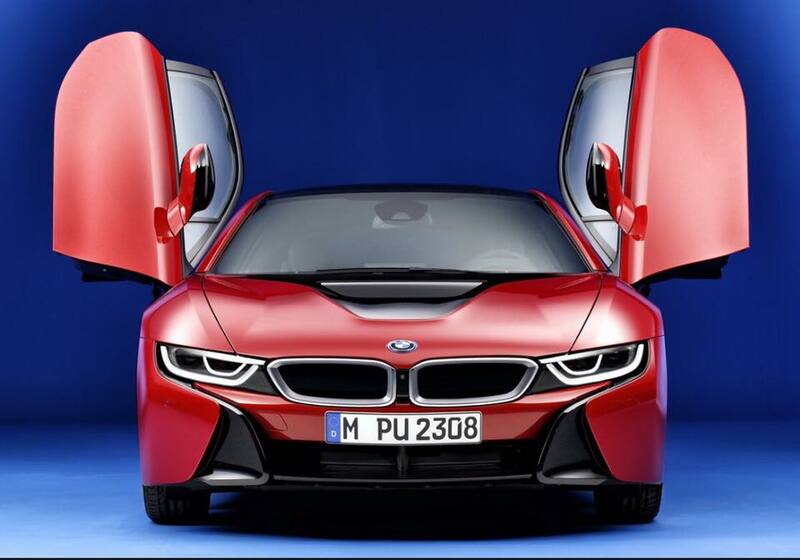 Now, though, there’s a new edition of the BMW i8, one that will make its debut at the Geneva Motor Show in March, the BMW i8 Protonic Red Edition. This exclusive limited-edition of the BMW i8 offers customers a new way to tailor their BMW i8 even more closely to their tastes. 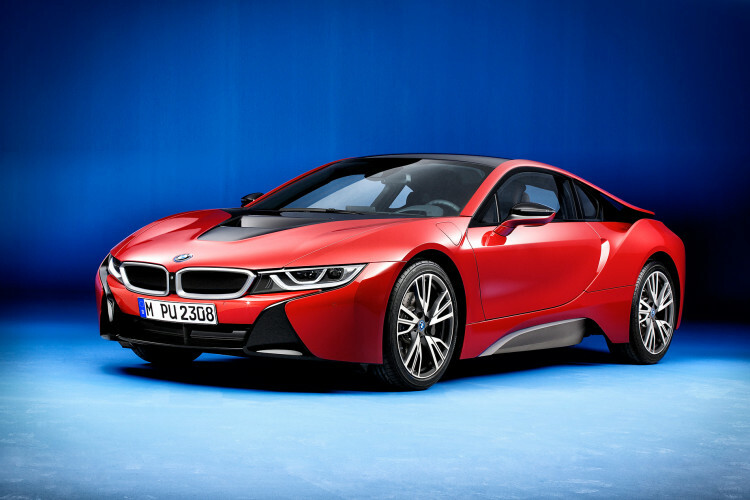 The Protonic Red Edition i8 is only the first in a series of special edition BMW i8s. These special edition variants will allow customers to enjoy a selection of bespoke equipment highlights and it all starts with the Protonic Red Edition. If you hadn’t already noticed, the BMW i8 Protonic Red Edition will be painted in a new color called, you guessed it, Protonic Red which will come with Frozen Grey Metallic contrast accents. This is much better than painting the entire car in Frozen paint, as that can be troublesome to maintain over the course of ownership. This special edition i8 will also come with new W-spoke 470 light-allow wheels painted in Orbit Grey Metallic with hubs painted in Aluminum Matte. The contrast of the car to the wheels make the Protonic Red i8 look very good and very exclusive. 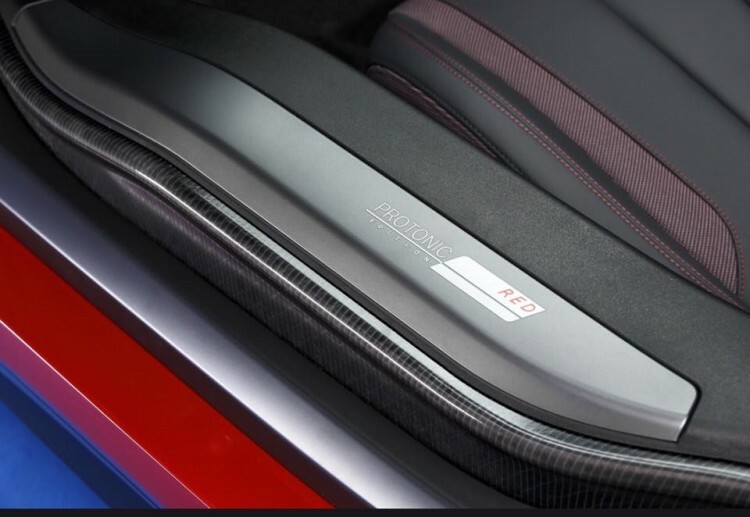 The interior will also gain some special touches, such as “i8” embossing on the front head restraints and the door sill strips bearing the lettering “Protonic Red Edition”. The seats feature double lap seams in red, and the red stitching is in evidence again in the door and side trim panels, echoing the exterior paintwork to perfection. 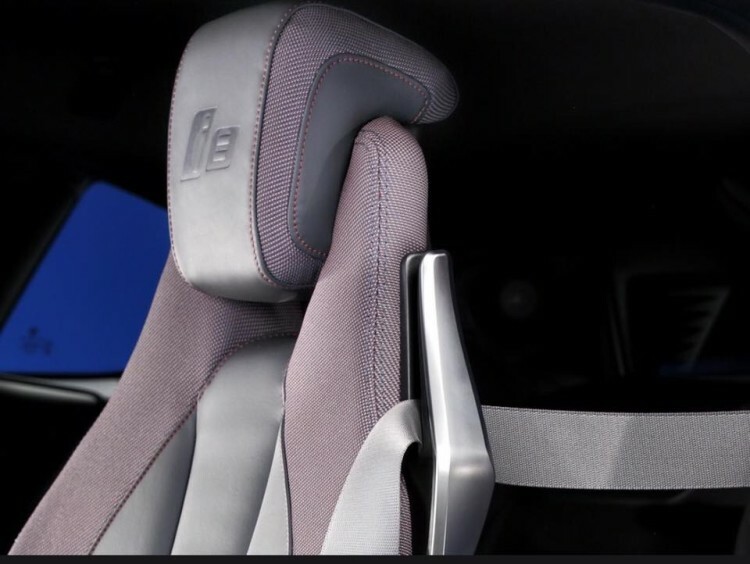 Exclusively designed embellishers made from high-grade carbon fiber for the center console and instrument panel reinforce the cool, sporty look of the BMW i8 interior, as do the carbon-fiber pull handles on the insides of the doors. The gear selector with black ceramic detailing, the grey-colored seat belts and the specially designed floor mats with leather piping and red contrast stitching put the finishing touches to the cabin’s highly individual styling. This very limited edition BMW i8 Protonic Red Edition will begin production in July, 2016, and will be built at the Leipzig plant. Orders will only be available until the end of 2016. There’s no word yet on any other special edition BMW i8 models or when they will start. It’s possible that the Protonic Red Edition could be the only one available until the end of 2016 which will then start a new special edition model in 2017. However, that’s just speculation as further details have yet to surface. Until then, though, we will have this Protonic Red Edition BMW i8 and it looks like it could be the start of something very cool. i3. BMW’s key i officials all know Tom personally, and they know his car, so I wouldn’t be surprised if that’s where they got the inspiration for the red i8. I’m surprised it’s taken this long for the i8 to get a second “real” color (versus shades of gray). The i3 is still only available in one real color, notwithstanding loud cries from the peanut gallery for more. Red is not new. 1972 Turbo. Ferrari. Fire truck. “Moloughney beat them to it”? Didn’t Tesla invent red? I highly object to the “Protonic Red” name. This is obviously “Moloughney Red”. Munich may get a call from my attorneys! Moloughney Red is the color! Even a pink i8 would look better than the standard two-tone paint they offer.